As exciting as getting older can be, for a lot of people, it can be quite a scary experience, too. And when you start hitting major age milestones like turning 30, life can get even more nerve-wracking. And a large part of the reason why some people feel a deep sense of anxiety about the aging process is because of the expectations they’ve set for themselves. Many of us were taught from a young age by our parents and society in general that we should have certain possessions (a beautiful home and car) and a lifelong partner by the time we’re out of our twenties. 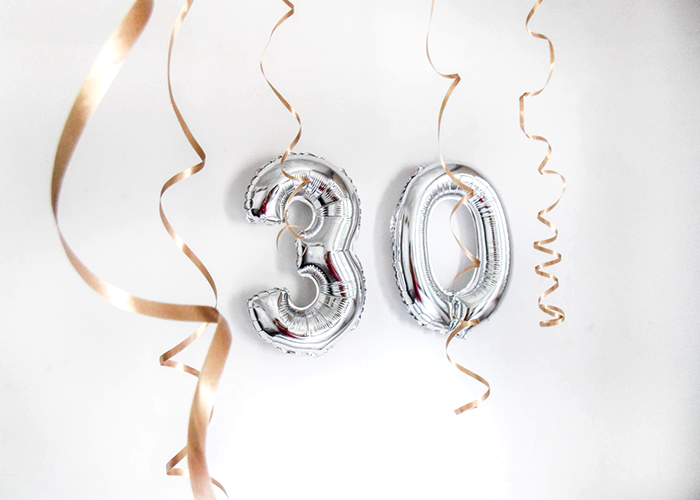 So when we don’t have any of those markers of adulthood by the time we hit 30 — well, we might understandably start to freak out and think we’re a failure. Sound familiar? Well, we’re here to tell you there is no right way to be a 30-year-old, or an adult in general. Everyone’s paths and wants in life are completely different, so don’t feel pressured to live up to a certain lifestyle just so you look like you have your life together and are conquering #adulting. In this week’s video, Chelsea goes over six scary things about turning 30 that no one ever talks about, ranging from mildly unsettling to outright terrifying. Rest assured, she isn’t sharing these lessons she’s learned over the years to spook you out, but rather to drive home the point that a lot of those material items and lifestyle markers people say you should have when you turn 30 probably aren’t even financially worth it. Wondering what we’re hinting at? Well, head over to the TFD YouTube channel now to find out more.